Supporters of Salvador Sanchez Ceren, the president of El Salvador, celebrate his election victory, San Salvador, March 15, 2014 (AP photo by Salvador Melendez). On March 4, Salvadorans went to the polls for legislative and municipal elections. According to preliminary results, the opposition Nationalist Republican Alliance, or ARENA, won 37 of 84 seats in the Legislative Assembly. The ruling Farabundo Marti National Liberation Front, or FMLN, won 23, down from 31. 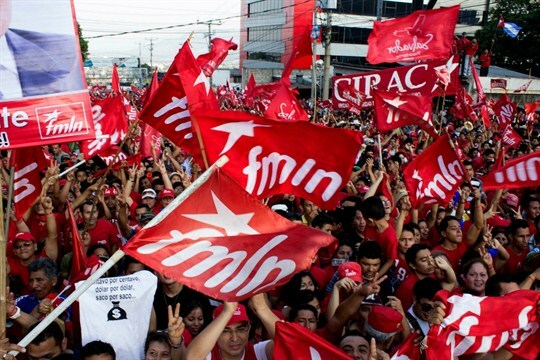 The results are widely regarded as a stinging defeat for the FMLN, which also lost several key mayoral races, including in the capital, San Salvador.